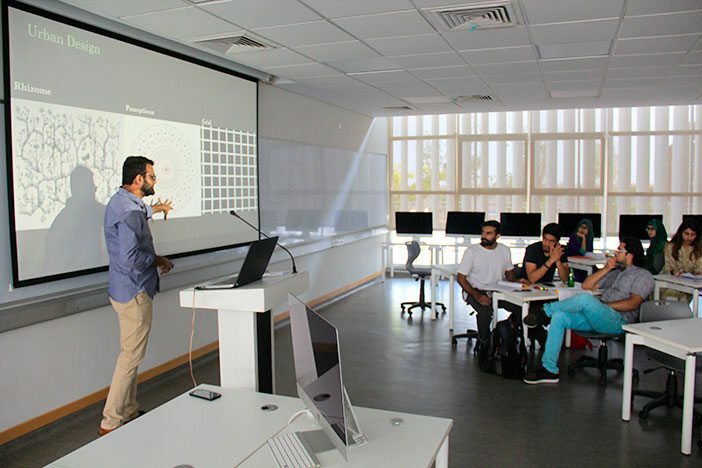 With the start of the new semester at Habib University this Fall, several new and innovative approaches to the humanities have been introduced, most in collaboration with international organizations. 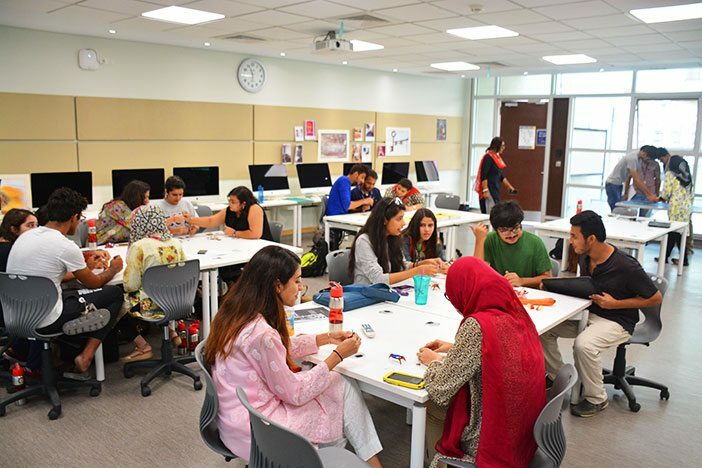 One such course, which had its inaugural class on August 23rd, 2016 is called DIY Karachi. Professor Saima Zaidi, along with Dr. Saleha Raza, Dr. Tim Spracklen and Dr. Noman Baig are collaborating on the course at HU, which is in further collaboration with Numaish Karachi, MadLab Manchester and the British Council. The course, being offered as part of the Communication Studies and Design program, is an exploration of “space-making and urban forms”. Students from across all programs can enroll for the course, which offers them the chance to study and apply techniques of place-making, i.e, the class teaches an on-going process of creating spaces for civic engagement. Students belonging to different academic programs, such as Computer Science, Electrical Engineering and Social Development & Policy, all come together to understand the ethics of urban forms, the conceptual frameworks under which they operate and how the public generates its own sense of place. The course is designed to be a culmination of the principles of design, culture, science and technology, ensuring students learn to think for themselves in innovative, individualistic, experimental and playful ways that helps them integrate academic knowledge and “street smarts”. The session on 23rd August initiated the course, with students exploring “Metropolis and the Mental Life”. 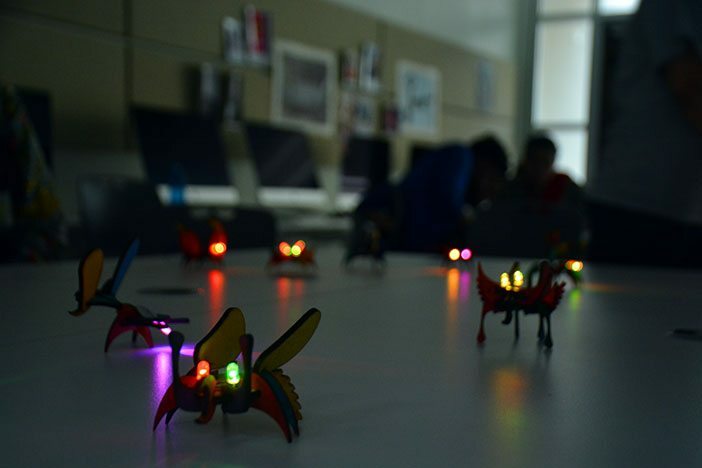 Along with theoretical knowledge, students were also introduced to “imagination techniques”, wherein they were given certain materials, out of which they had to craft models that reflected their own individual skill. A follow-up session was held to the class on August 25th, wherein students would reflect on what they learnt about creative thinking strategies. Students of the class will be developing prototypes and projects that they will design through readily available materials as well as localized technologies and manufacturing. These will then be placed in the public realm in Karachi for the purpose of creative intervention. MadLab Manchester will also be conducting a similar intervention. The purpose of this course, and courses such as these, are to introduce students to work in collaboration with social groups and communities that they are part of, along with ensuring they learn the ethics of social engagement. Not only do students receive exposure to disciplines that they may not previously be engaged with, but also learn the application of theory intro practice on real-world projects, as is the philosophy of Yohsin applied at Habib University as a whole.